If you’re thinking about adding a dog to your home, then you have a lot of serious decision-making ahead of you. Most importantly, figuring out if you should buy or adopt. We’ve made the decision easy on you—of course you should adopt! Here are just a few of many reasons why you should adopt a rescue instead of buying! Although the puppies you see at the pet store or with a breeder are very adorable, they will get snatched up almost immediately. They aren’t spending their days on the street or in a shelter without a warm and loving home. So, when you adopt a shelter or rescue dog, you are not only saving their life, but you’ve made it possible for another dog to be rescued off the streets and at least rest safely in that now open spot at the shelter. Paying a breeder or a pet store for man’s best friend can get very pricey. Instead, you can adopt for a much lower cost. Not to mention the fact that your new dog will most likely not have to be potty-trained or trained in obedience because many are already trained from their previous homes. The rescue group or shelter volunteers will be able to help you learn more about your dog and their personality before you even leave the building. They want to see them in a safe and happy home more than anyone else. The support and knowledge of the shelter team will ensure there aren’t any surprises when you take your new dog home. Dogs are known for their unconditional love, but would you believe it’s possible that they could love even more than that? When you adopt a dog from a shelter and give them a forever home, they will show you the most love and gratitude. We know that every puppy needs a home, but there’s a difference between buying a dog who is bound for a forever home, and a dog that is battling the stigma of a shelter or rescue dog. 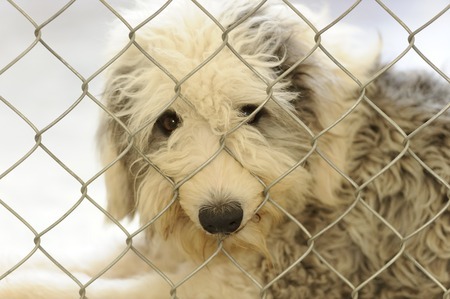 In the U.S. each year, approximately 6.5 million animals enter a shelter. Approximately 1.5 million of those shelter animals are euthanized. At Silver Streak Kennels, we believe in adoption and saving the lives of many dogs that are in need of homes. So be sure to keep these reasons in mind when you go to add a new pup to your home! We have dogs from all over here with us at Silver Streak and they are the sweetest. We wouldn’t want it any other way! Once you adopt, keep us in mind for any of your short- or long-term boarding needs. Call us at 607-263-2007 today for more information!